Is facilitating citizen initiatives a food strategy? Moreover, what is the problem? Again, difficult. Maybe broadly covered under the heading of ‘urban-rural relationships’ but in fact more narrowly focused on how to get the urban citizen to buy regional products (with no specific focus on sustainable agriculture). Is this a problem? Not really, it is a chance it was agreed in the meeting. A chance which could be facilitated by the government without standing in the way. So there you have your strategy and it resonates with Hinrichs (2000) defensive localism. It also resonates in another way with Proeftuin Amsterdam, where also the key focus was to facilitate initiatives already there. The task; bringing together, connecting, inspiring, communicating across the energy which crystallizes in a particular topic, food is the hottest at the moment. “We should ask ourselves, where is the energy is flowing towards” I heard in the meeting. Hence, the most important driving force of Proeftuin was according to a presentation, the attention for citizen initiatives. A conclusion too in the Schuttelaar debate in Wageningen, same day. Research done by students of Wageningen university confirms the trend; municipalities busy with food policy/strategy/projects were those activated by their own active citizens. After this, the next question often asked, becomes a bit weird. How to anchor the food strategy for the long-term? There is nothing to anchor where the ‘policy’ is to facilitate citizen initiatives, this goes as long as citizens are active. Proeftuin Amsterdam does not exist anymore. Amongst others because there was no political problem (“er lag geen bestuurlijke vraag”). Food security, policies for social exclusion and poverty and access to good food, problems the Food Banks now address, were deliberately not part of the Proeftuin focus. So what’s wrong with stimulating enthusiastic citizens busy with creating sustainable food systems in various ways? Nothing of course. However, if that’s all, it seems that despite the many ‘nice’ activities, food keeps being seen as a private responsibility. There is a serious problem in the articulation of public interest addressing structural problems in our food system and in fact, no attention at all for social justice. Do-it-yourself for those who can. 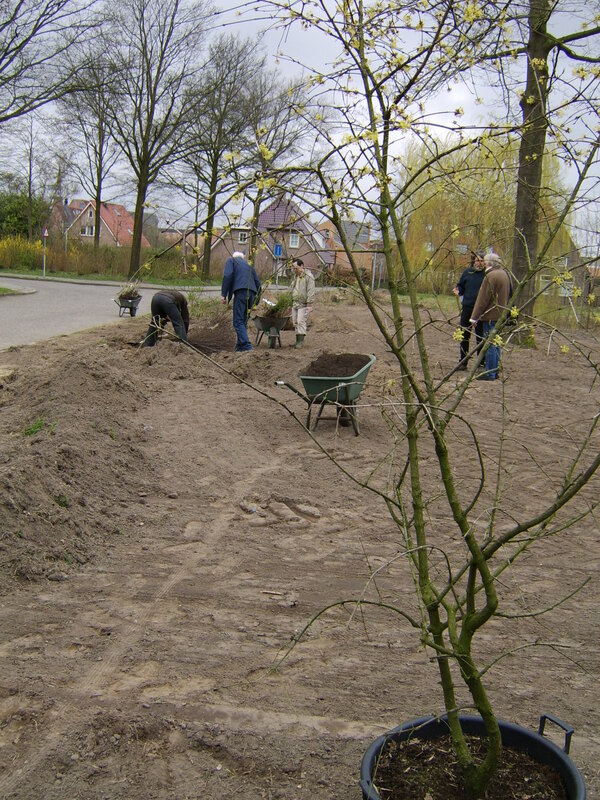 This entry was posted in Food, Policy and tagged Food security, local economy, local food, Urban-rural by Petra Derkzen. Bookmark the permalink.